Five days of tango heaven July 8-13 2015! World’s finest maestros, highly acclaimed international DJs, hundreds of dancers from all over the world, gorgeous Croatian sea coast and crazy low prices! A unique festival experience that everyone’s talking about! Why are we so excited about this? We aren’t dancers but we really enjoy meeting them! This is the greatest time you could choose to come to Poreč and book your accommodation with us at Bogović apartments. Every year we welcome diverse tango dancers from all around the world, and you could be the next one to visit us in our home. So don’t wait too long – choose an apartment for yourself and make a reservation on time. We are expecting you! 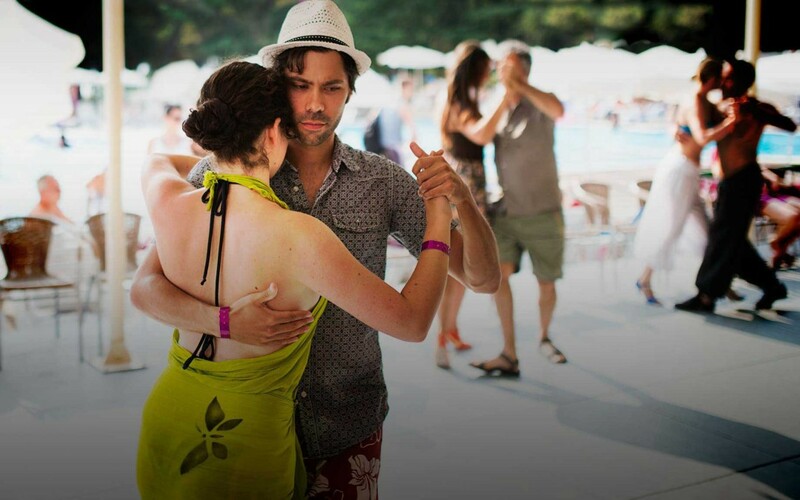 in the period of Mediterranean Summer Tango Festival.